Radiation is something that we all come into contact with on a daily basis. It generally comes in two forms: terrestrial and cosmic. Terrestrial radiation elements are found all over; in soil, water, air, and even in the food that we eat, particularly if it is grown in the ground. The largest contributor to radiation in the natural world, though, is radon which is a decaying product of Uranium, released from rocks and soil. This gets into our air, as well as our water supply, and we are usually completely unaware of its presence. Cosmic rays of radiation are another source that we get everyday. Most of it is blocked by our atmosphere, but not completely. Then of course there are the ways in which humans are creating more radiation. Smokers inhale a form of radiation; the rocks, cement, and bricks we use in building often times contain uranium ores; and increase in air travel has contributed to our exposure of cosmic rays. The medical field also contributes via dental X-rays, CT scans, MRI, radio isotope injection to diagnose cancer and radiation therapy to treat cancer. While these are generally necessary, the TSA has introduced dangerous backscatter devices to airport security, which is set to be rolled out in neighborhood security vans, on buses, trains and in malls as well. This additional radiation exposure has no place in our daily lives. Meanwhile, our modern conveniences such as microwaves, radio towers, cell phones, wireless routers and the vast spectrum of electromagnetic pollution contribute to the bombardment. The escalating crisis in Japan has led many of us to start thinking about serious radiation exposure from the worst threat of all — nuclear fallout, which has resulted in a lot of impulse buying of the most common treatment, Potassium Iodide, to the point that it is disappearing all together. But fear not, there are many other natural ways to protect ourselves from radiation poisoning that we should be taking on a regular basis to combat all forms of daily radiation. Herbs There are several easy-to-obtain herbs that can be used for your protection. One of the best herbal protectors against radiation is Rosemary which contains Carnosic and Rosmarinic acids. According to Natural News, two different studies were done in Spain showing the positive effects of using Rosemary. It fights radiation damage to cells and rids the body of DNA damaging free radicals. It is readily available at any grocery or health food store, or can be grown in a windowsill herb garden, while being a wonderful addition to many meals. Herbs such as Cilantro help to remove heavy metals from the body, while others such as Dandelion help to rid the body of free radicals and protect the liver. Key Foods Obviously a healthy diet is a great start for having a body capable of removing some of the toxins related to radiation, as well as to strengthen the immune system. Some foods, though, are more helpful in the event of excess radiation. Any food containing caffeic acid, such as apples, citrus fruits, broccoli, cauliflower, and cabbage offer support. In a study done in India, caffeic acid was injected into cells and then those cells were subjected to varying degrees of radiation, while the control group was not. In all of the cells injected with the acid, there was no damage to the cells at all. The control group showed various degrees of genetic damage. Another food source of great protection is seaweed (kelp, spirulina, brown algae) , due to its natural iodine content and ability to slow the accumulation of nuerotoxic metals. Buckwheat, tumeric, ginko, and any potassium-rich foods are also great ways to protect yourself. Vitamins and supplements Simple vitamins receive very little attention for their anti-radiation benefits. The British Journal of Radiology reports that Vitamin C, E, and beta carotene are all effective tools for protection against radiation. Vitamin C can protect against radiation as well as repair damage done to cells from previous exposure. Calcium, magnesium, and bee pollen are also key supplements that should be added to a healthy, balanced diet. Don’t let anyone fool you. 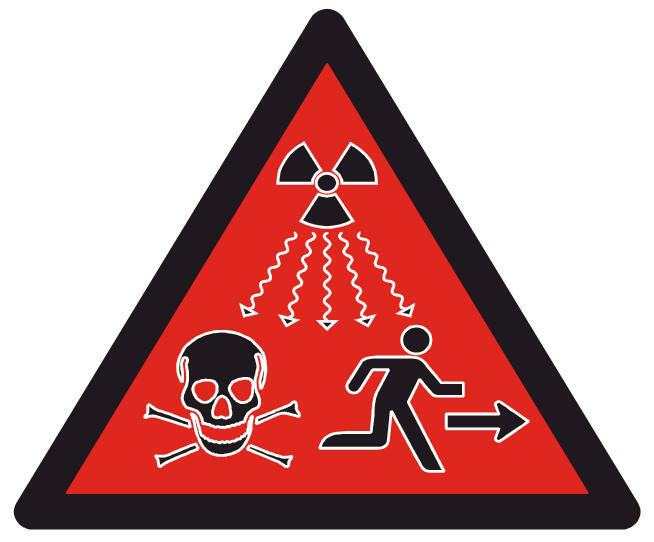 Radiation exposure on any level is not OK. Radiation disrupts our cellular growth, can make our cells grow abnormally, or even die off completely. Some of the cells will be mutated and reproduce; this is the process leading us to cancer. Obviously the more exposure we receive the worse the situation is as the cells do not have time to replace the ones killed off by the radiation, but any level is bad. Do yourself a favor: regardless of what happens in Japan, or at any of the other countless nuclear facilities, start taking action now with the products listed above, and prevent exposure in any way that you can. Be the first to comment on "3 Ways To Protect Yourself From Radiation NATURALLY"